We are bringing back Oklahoma! for another season, in milder weather, in its 75th anniversary year! Come back and join us at Four Oaks Farm, Littlehampton in October 2018 for a limited season. 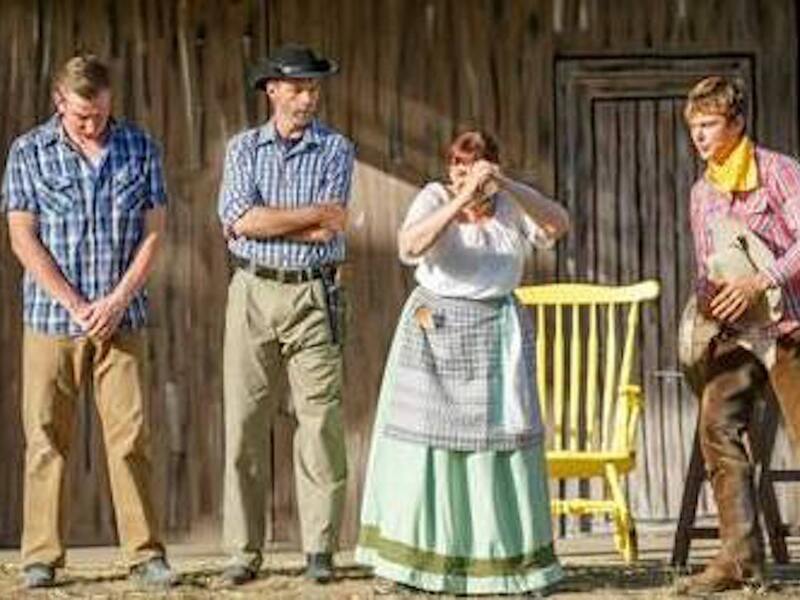 Set in the beautiful Adelaide Hills, we are bringing this beloved classic to life with a real windmill, a real surrey, live horses and a country fair to boot! Come along and totally immerse yourselves in this unique family-friendly experience. Rodgers & Hammerstein’s first collaboration remains, in many ways, their most innovative. Set in a Western Indian territory just after the turn of the century, the high-spirited rivalry between the local farmers and cowboys provides the colourful background against which Curly, a handsome cowboy, and Laurey, a winsome farm girl, play out their love story. Although the road to true love never runs smooth, with these two headstrong romantics holding the reins, love’s journey is as bumpy as a surrey ride down a country road. Kids under 3 free. There will be delicious food options (including Mt Barker Scouts sausage sizzle and Oklahoma! audience favourite, Sharon’s Biscuits! ), a bar stocked with local beverages, local country baked goods and country crafts for sale too!